Editor’s note: Mohamed Ali is the founder of the Iftiin Foundation, an organization that incubates social entrepreneurs and young leaders to encourage innovation in Somalia. He is also a New Voices Fellow at the Aspen Institute. The views expressed are his own. As new footage emerges of gunmen chatting on cell phones and praying during their attack on an upscale Nairobi mall last month, many are still wondering how the group was able to lay siege to the building for four days, claiming almost 70 lives in the process. But while understanding how the attack was orchestrated is important, the more pressing question should surely be why, despite international efforts to quell its power, Al-Shabaab is still able to recruit so many to its cause – including, reports suggest, foreign Somalis who grew up in the West? And why are many of those who participate in Al-Shabaab attacks young men? The answers to these questions could hold the key to undermining Al-Shabaab’s influence in the region. Al-Shabaab, which means “youth” in Arabic, is aptly named – not because it is a youth movement (the group is led by older religious clerics) but because young people remain its greatest resource in a bloody campaign to impose radical Islam in the region. After all, it was a Mogadishu girl who walked into the home of her uncle, a Somali government minister, and detonated a suicide vest in 2011. I have also been repeatedly advised by Somali officials that attacks such as the one on a U.N. compound in June, regularly involve youths. And now, several young attackers who broke into the Westgate mall with guns and grenades have murdered dozens of men, women and children. 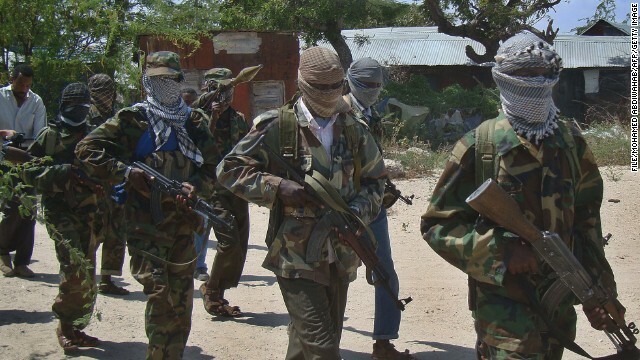 International organizations and foreign governments have taken a number of steps in targeting Al-Shabaab’s resources: a U.N. arms embargo has been implemented to try to stop guns entering the country, and the United States and Europe have introduced strict anti-terror financing laws to prevent remittance cash flows from being diverted to the group. A recent Somali government ban on charcoal exports has cut off a lucrative source of revenue. However, little effort has been made to address what has been a far greater and more accessible resource than cash and guns for Al-Shabaab – Somali youth. A large segment of the population in Somalia consists of unemployed, marginalized young people living in abject poverty. Almost three quarters of the population is under 30, with more than two-thirds of them unemployed. Many have never attended school and bear the psychological scars of 23 years of civil war and anarchy. This is Somalia’s lost generation – frustrated, uneducated and paralyzed by poverty, they become vulnerable to the promises of money, family, stability and structure that are offered by Al-Shabaab. It begins innocently enough: a young man living in one of Mogadishu’s tent cities is offered a place to stay, a meal, money, a wife. They are recruited. Al-Shabaab begins to slowly and methodically strip away family ties, connections to friends, and other links a young person has to the outside world. They reform their belief system, establish emotional ties to group leaders who often serve as father figures, and mold them into fanatical soldiers of God devoted to a cause they are willing to die for. Each new recruit is eventually given a new name, shedding their last tenuous link to their former life. Many family members never hear again from their sons and daughters, at least until their name is listed in the news as the perpetuator of a terrorist attack. For those Somali youth in the diaspora, the story follows a slightly different narrative: a young immigrant, living in a low-income urban neighborhood, gets caught up with gangs, drugs or other crime. He feels isolated from a Somali community he shares little with other than ethnicity and religion. He is sometimes viewed as a foreigner. Recruiters may reach out through social media, and the young man might be enticed by the chance to reconnect somehow to a nation he does not know but still yearns for. Al-Shabaab’s goal is to make him feel understood. It may take many months, but he is eventually flown to Somalia. Finally, he begins the same systematic process of reeducation and radicalization as locals. For these youth, there is no happy ending. If they stay with Al-Shabaab they can become pawns that are sacrificed by clerics in acts of terror. If they seek a way out of Al-Shabaab, they can expect to be killed if caught. It should therefore be clear that Al-Shabaab will only be defeated when we collectively address what Somalia’s youth seek – exactly the same thing as many young people everywhere do, namely happiness and a connection to their traditions and family. They desire a future filled with opportunity, one filled with purpose and pride. And this can be provided through more targeted education, employment, and good health, all of which can better fortify them from opportunistic al-Shabaab recruiters. Ultimately, of course, the key to defeating Al-Shabaab is the rebuilding of a country that has been war with itself for far too long. And while the allure of Al-Shabaab can lead our youth astray, it is the promise of these same young people that can make this change happen. I think that a more hard line approach is needed to deal with not only Al-Shabaab but with all groups who commit Acts of terrorism. The World is tired of it and before the average citizens around the World take action into their own hands we need to get rid of the problem. Work needs to be done to prevent young men from being radicalize and recruited while harsh penalties needs to be applied for those who have proven to commit these acts. Perhaps terrorism needs a dose of it own medicine “intolerance” or O tolerance. No trails but mandatory sentencing. Wrong Vernon. Al Shabaab is strictly an African problem and we Americans need to stay out of this as in so many other parts of the world. If the Africans want to get rid of al-Shabaab in Somalia, these countries already have the means at their disposal without any help whatsoever from the West!!! Let's give it a rest! Put some Towel Heads on a stick. Maybe its time to stop all wars, religions, governments etc. and concentrate on helping each other. Maybe if we get rid of greedy power hungry leaders who want it all and give it to the ones who need it all this would stop, But alas you give guns and false hope to the youth to further your evil self centered agendas. Your judgement will come and I wish I was there to see it!! Thank you, Creature. That was well said. Yes, we do need to bolt both the Republicans and Democrats and replace them with more progressive leaders! Their stupidity is too much for this country to bear! If you khefti would just get out of these countries, stop sending them guns and ammo, and mind your own damn stinking business you'd be surprised at what could happen. They don't have one gun factory in all of Afrika, where are the weapons coming from? I smell a Khefti. The earliest known word to describe the phenomena of that which has come to be called a white man. It means, the man with the suicidal nature, constantly at war with himself. I made you boy, i know what you're capable of. George Patton , there is no such thing as an Regionalised problem, the ships pirated off the African coast contain , your western goods, the mother board or chip in your device has an 85pct chance of coming from war torn DRC, the gold ring on wife's hand is probably from South Africa and the diamond stud cud be from Botswana or Liberia. So if you want to disengage from Africa disengage completely , you might just find that huge national debt you have to fund in future impossible to pay. Civilizations come and go , ask the Persians, Greeks, Romans and Egyptians. Only A MASSIVE CONVERSION OF MUSLIMS TO CHRISTIANITY or to any other religion except Islam, will stop global Islamic violence and madness. The root of the problem is Islam not the weapons, culture, education or economical factors. The "Satanic Verses" of the Qu'ran and prophet Mohammed highly immoral, cruel, perverse, irrational and discriminatory conduct are Islam's role models. it looks as if Al-Shabab seemed to have stronger links to Norway than with most other European countries. Counter-terrorism officials are investigating the "pipeline", which is said to help those living in Norway wishing to travel to Somalia, transit through the refugee camp of Dadaab in eastern Kenya. The Shabab commander Abdulkadir Mohamed Abdulkadir, target of the unsuccessful SEAL raid two weeks ago, lived four years in Norway. He applied for asylum but left before a decision about his case was made. How to undermine Al-Shabaab? its easy just make them part of the american government, they'll become so disfunctional and useless, they'll just disappear after just a few months. Sure have Islamic countries invest in their own people. The problem is that it is always the west that has to step in. The only thing Islamic countries seem to do is produce those that have an objective of murdering westerners and NON-MUSLIMS. 99.9% of suicide bombers are Muslims. Hence, The only sure way to keep out suicide bombers is keep out Muslims. FYI, shabab is Arabic, technically, for "youth," but in the language and context (of Arabic and salafi-takfiri extremists) it means young guys, and in the case of Somali shabab, they are all young guys and their slightly older extremist masters. It is NOT a collective, plural noun for boy and girl youth. Moreover, it's disappointing to see the author cite the singular and statistically rare incident of a young woman suicide bomber in Somalia. It's important to know the area and region, and women are almost never used for operations–of the ilk of the salafi-takfiri death cults–which are not to be confused with, for example, Palestinian and Chechen terror elements which may, on occasion, use women in operations. Bomb them into submission...then bomb them out of existence.